Ive been holding back some pics of cards untill they were recieved in swaps. So here they are! 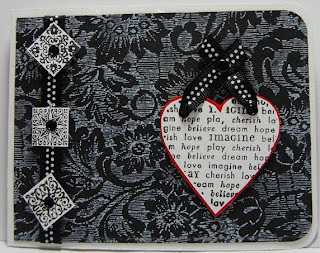 Swap - Black and White w/touch of color, I was really happy with the black and white and it was something I came up with and not something that I got an idea from on another site! I may make more like this. 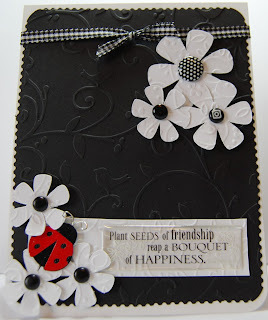 Just got a link to your blog from Cricutcutter group. I love your cards and your alpacas (especially babies!). 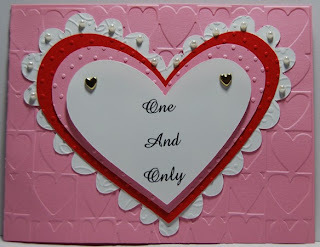 I was wondering what embossing folder you used for this card (the hearts). I don't remember seeing it in Cuttlebug stuff.